Living in the country with animals can lead to some difficult times. Yesterday was one of those days. I wasn’t feeling very well and spent most of Sunday inside due to some mild food poisoning from Saturday night. I still wasn’t 100% on Monday and didn’t go out until mid-day. You always expect everything to be as you left it the night before, unfortunately this wasn’t the case. I went out and let the chickens out and peeked in to check on the ducks out front. They are in huge aviary pens that have netting on the roof. The first group looked good, but the sight that met me in the second pen was absolute carnage. Something came in during the night and killed 3 of the 4 ducklings and 3 mama ducks. I was horrified, sickened, and very sad. 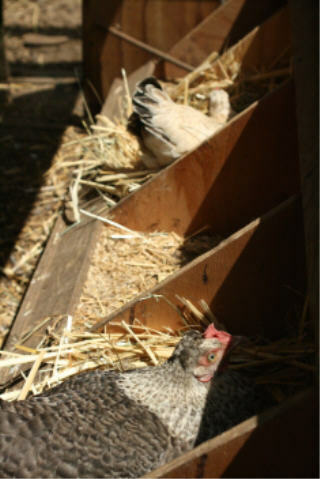 These were my really good mamas that have hatched out most of the eggs this year. I felt these pens were fairly predator proof and was comfortable with the moms and babies in there. I walked in the pen to check on the eggs – one of the moms was sitting on another clutch of eggs. Amazingly, they were fine and when I lifted up the house the last little duckling slid out from behind. I expected it to be dead, but it wiggled out and was unharmed! Here is my son with little lucky. I’m really hoping it is a ‘she’. I can’t imagine what it experienced during the night and I am filled with joy that it survived. We have had ducks in open topped, outside pens for 3 years and haven’t lost any and in one night we lost 6 in a pen that I thought was safe. I understand the ‘wild’ animals need to eat, but 5 of them were just killed – almost like it was just for fun. There was no time to sulk because I had to find a more secure pen for the other 11 ducks that were in the other pen. They weren’t very happy to be put in dog kennels! My husband helped me start some new pens last night and my brother is helping me today. My husband also set some traps last night and we found out who was to blame – raccoons. We will leave the traps out for a few more nights to see if anything else comes back. I didn’t want to lose the eggs too, so I took advantage of my broody chickens. Here they are fighting over an egg in the corner. Can you see the third one’s tail under the other two? They were very happy to have their own eggs and my appreciation. ← What would you rather do? Oh no:( Sorry to hear about the ducks. 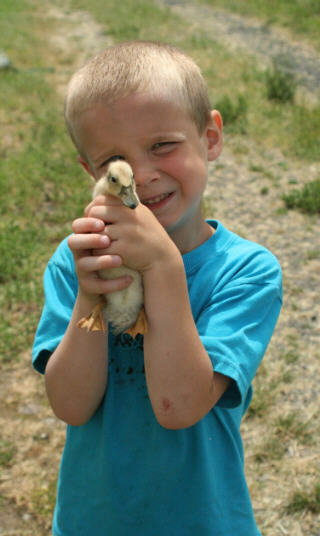 Little Lucky is one lucky duckling:)!!!!! 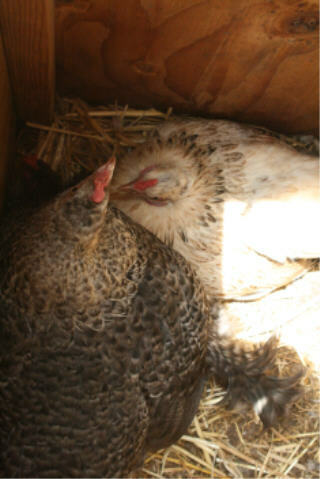 I’m so glad that one duckling survived, and that your chickens have so graciously agreed to sit on the other eggs! I am sure they will make excellent surrogate mothers for those little ducklings. You probably read my story of carnage wrought by coyotes last December. We have raised another batch of ducklings and hope we have made a better , predator proof pen, but we still have raccoons and coyotes prowling just outside the pens at night, we can see them from our bedroom window, and I am positive it was a wolf I heard howling very close by the other night, so I am rechecking my sheep pens. But how awful, to see such carnage , and find your special ducks like that! I hope those hens finish the hatching! The issue of predators and our poultry will be a continuing saga – DH built a chicken coop up on stilts – solid all around with hardware wire for the one open area of the coop We put the chickens in each night and actually latch the little door (raccoons are might nimble with their paws) – so sorry – it is heartbreaking no matter how long one has been keeping animals – we try to be a “good shepherd” but still have losses. Sorry.